Right Turn Ministries exists solely for the purpose of nurturing the spiritual and physical needs of the people of Honduras through 4 very clear, basic tactics: Feeding the Spirit, Nourishing the Body, Educating the Mind, and Life Improvement Sustainability. We do this by establishing and supporting small group in-home Bible Studies, provide meals for those attending Bible Studies, Private Christian Bi-Lingual Education opportunity for the children whose parents are active participants in Bible Study groups, and finally offer Life Improvement Sustainability opportunities for those in community. We operate in the physically poor, but spiritually hungry community of San Pedro Sula, Honduras; a community that is often forgotten, ignored, and abandoned by their government. The people of these neighborhoods live on less than $2.00 a day and are among the most impoverished people in the world. Honduras currently ranks as the fourth poorest country in the western hemisphere, and rates highest in crime worldwide. Starvation, death from disease, gangs, and human trafficking are just some of the realities the people in these communities deal with on a daily basis. We believe that by bringing the word of Jesus Christ, in addition to food, into these neighborhoods, we can make a difference….one soul at a time! Form, develop, and make disciples who will transform their community and the world. 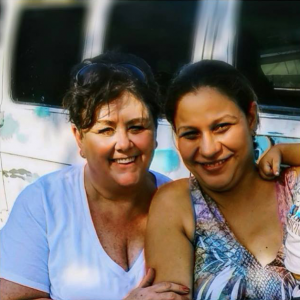 Foster life and love in Honduran neighborhoods by providing much needed food. Educate the minds of Children who are hungry for the Word of God and who desire a solid Christian Education. We will accomplish all that God has asked of us by walking in the way of: integrity, transparency, healthy relationships, collaboration with other established ministries, and most importantly, identity in Christ, and human dignity. We believe that everything begins with the calling and forming of disciple leaders who serve as catalysts for Kingdom change in their communities. We must start with this basic foundation. If we fail, then everything else we do is rather superficial, short-lived, and non-sustainable. By day, Cheryl works Full Time as a Lead Medical Assistant and Asthma Educator for a busy Allergy/Asthma office. By night, she is a wife to Jim, and a mom to a grown son, and she is the proud “Grandma” to her amazing Grand Dog, Brutus. Cheryl serves in various ministry opportunities in her community, but her heart lies with serving the people of Honduras. She made her first trip to Honduras in 2005 and it was there, her life of service was forever changed. In her spare time, she loves to play softball, bike ride, and do extreme couponing. Bio: Linda brings her career talents in banking and financing to Right Turn Ministries to serve as our treasurer. 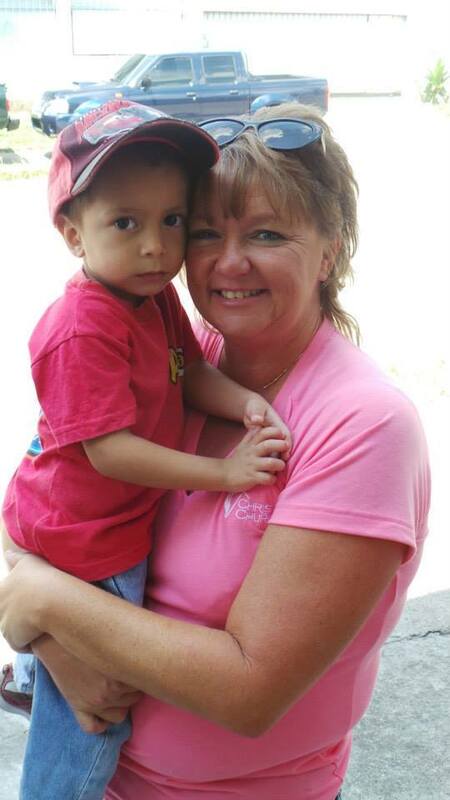 Linda has a passion for serving in Honduras, and when not serving there, you can find her serving locally in her home Church in the Wonderfully Made ministries where she serves the special needs children of the Church. In her spare time, you will find her with her husband and amazing grandchildren. She enjoys bike riding and working on various crafting projects. As a full time teacher, Julie brings an element of teaching and education to Right Turn Ministries. 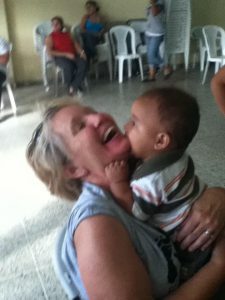 She loves spending time with the children of Honduras and enjoys working with them helping them learn. In her spare time, you are sure to find her on the sidelines of a softball field where she is the #1 supporter of her daughter who plays on a traveling softball team or you will find her at home being a grandma to her newly added bonus grandchild. As a fluent bilingual missionary, Mandy brings so many gifts to the table of Right Turn Ministries. She has a deep rooted passion for Central America, especially Honduras. 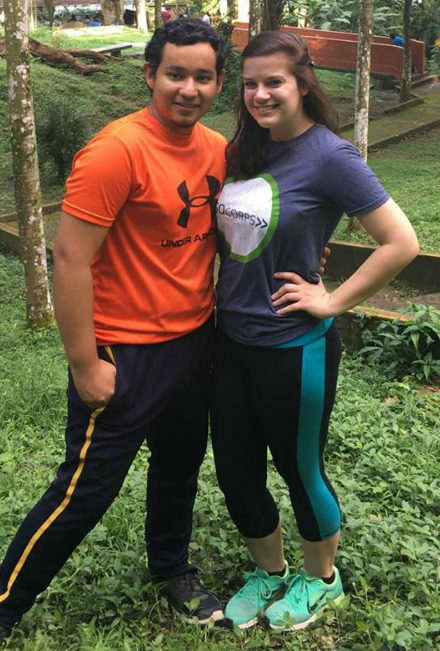 Mandy recently graduated from college and she is currently serving in Honduras where she recently married Carlos, who, interestingly enough, she met several years ago while on a mission trip to Honduras! We, at Right Turn Ministries can always count on Mandy to bring us the Central American prospective to our ministry and we are delighted to have Carlos along for the ride! Doug has been an active part of Right Turn Ministries ever since taking his first trip to Honduras in 2017 where he found his heart was forever changed. 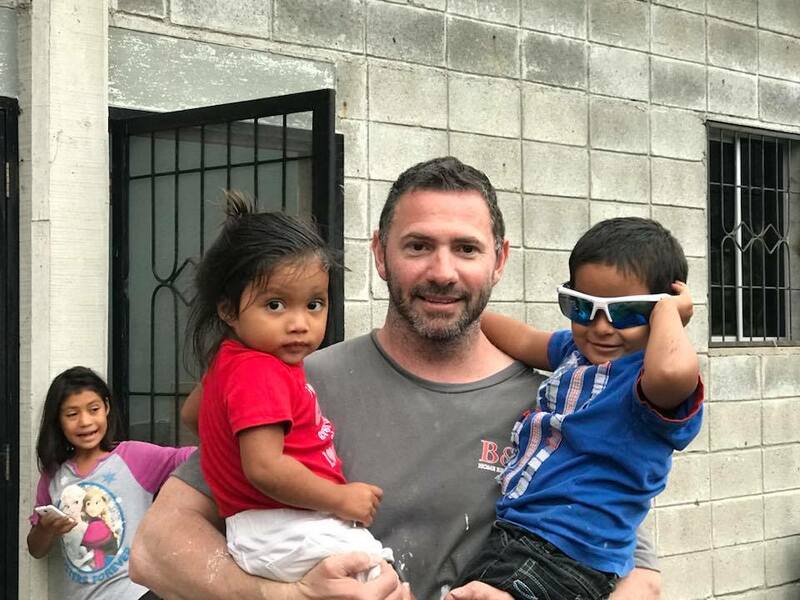 As a skilled contractor and business owner of Level Up Renovations, Doug uses his God given talent in Honduras by overseeing all of our construction projects. He has a heart for service and a passion for ministry and oversees our Mission Revivals. When he is not working his Full Time paid job, you can be to sure to find him serving in Student Ministry of his local Church on Wednesday nights and he also oversees his church’s annual Judgement House, which is a walk-through drama that presents the gospel by way of the truth of people’s choices versus the consequences of those decisions both in this life and the next. Doug is a family man, committed to his wife Laura, their 4 boys, and their beloved family dog. 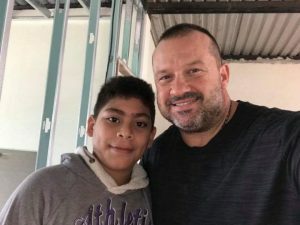 Chris took his first trip to Honduras in January, 2018 where he was finally able to meet the young man he has been sponsoring in school. His family of 5 kids (4 girls and 1 son) has now grown by 1 more son!! It was during his first trip to Honduras, that God revealed to Chris that He had great plans for him in Honduras. Chris is beginning to see all that God meant by that. 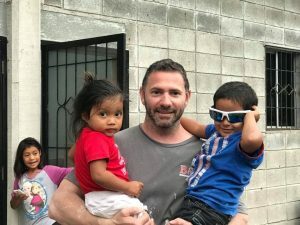 When not serving in Honduras, Chris works full time as an Account Manager for Echo Equipment, he is the husband to Jennifer, and as mentioned, dad to 5..er….now 6 amazing kids.